A direct mail marketing piece for Marlboro Black Slate. This mailing was sent in November 2016. 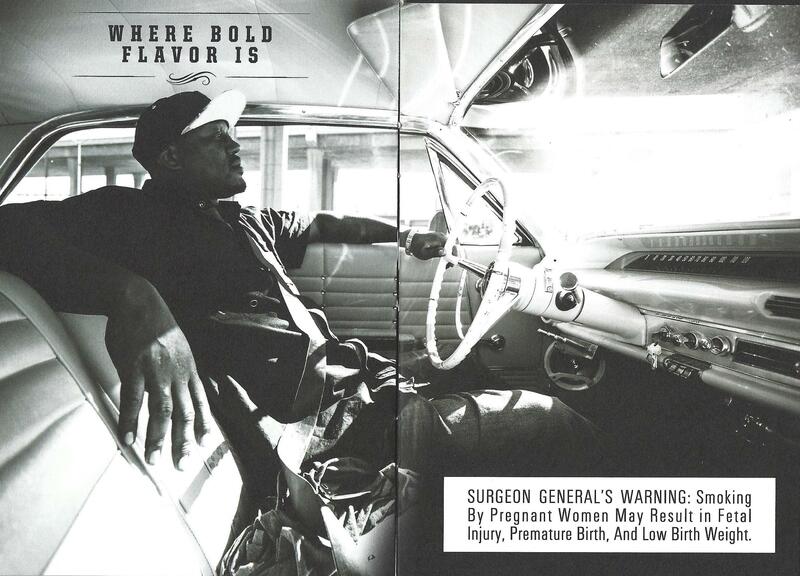 It features images of low-rider cars (below) and four $3 off coupons (above). It has been five years since Altria released Marlboro Black—a cheaper offshoot of the number one U.S. cigarette brand. Marlboro Black is a “bolder” tasting cigarette that is targeted at millennials. The brand’s marketing efforts are designed to modernize Marlboro’s masculine image. The “Marlboro Man” cowboy hit the scene in the 1950s. The cowboy campaign, which is seen as one of the most brilliant marketing campaigns ever developed, helped Marlboro become the most popular cigarette brand in the U.S. However, in recent years, Marlboro’s market share was on the decline. This prompted Altria to explore ways to refresh the Marlboro image. The result is the Marlboro Black line. These cigarettes often retail for as much as $1.50 less than a pack of traditional Marlboros. They are promoted using imagery of motorcycles, low-riders, and tattoos. 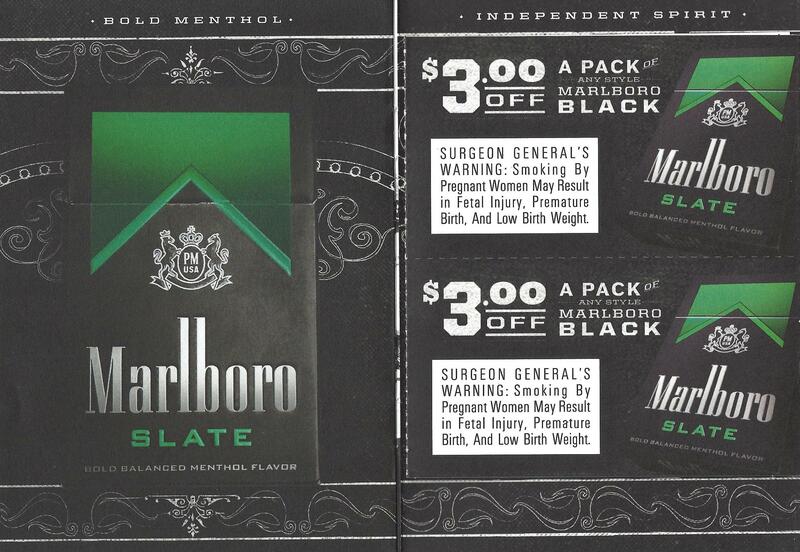 Marlboro Black is promoted through the use of direct mail marketing (see image) and bar night promotions where tobacco industry representatives hand out coupons. These promotional efforts have paid off. In their first year on the market, Marlboro Black grabbed more than 1% of the U.S. cigarette market share (which translates to about $320 million in annual revenue per year). According to Bonnie Herzog, a tobacco industry analyst for Wells Fargo, Marlboro Black is “…making Marlboro relevant again.” Black helped Marlboro’s market share climb to the al l-time high of 44.1%. Further, thanks to Black, Marlboro’s market share among 18-25 years olds climbed by 3% (from 43% to 46%) between 2011 and 2014. The Marlboro Black line continues to grow with the addition of new varieties. Currently, the Black line offers the following varieties: Black (non-menthol), Black Menthol, Midnight (menthol), Slate (bold, balanced menthol), and Edge (non-menthol).